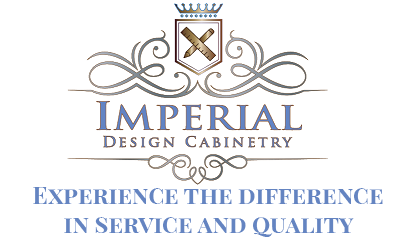 When you choose custom cabinet remodeling and installation from a quality cabinet service like Imperial Design Cabinetry, LLC, you get the benefit of a design that fits your specific space. You also get a customized storage solution that can help you efficiently arrange and access your belongings. Rather than have your valuables exposed and appear to be cluttered, we can build a place to keep them out of sight and out of mind until you need them. If you have odd-shaped architectural details in your home or business, our cabinets can be built to fit the space. Custom cabinets can also be the ideal solution for small rooms, since they can be built to take advantage of every bit of available space. Using some of the best materials, we can work from start to finish to create a storage space that suits your needs. Enjoy great color and texture when we refinish or repaint cabinets already in your home, giving them an antique finish. 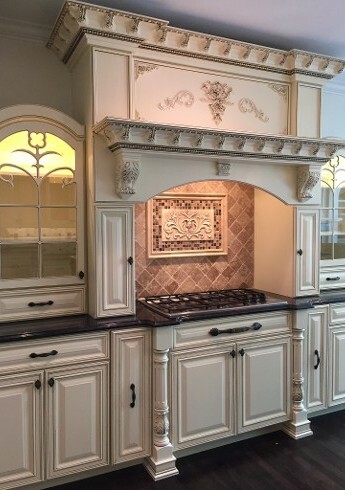 You’ll be impressed with the glazes, stains, and paints we use to transform your cabinetry.